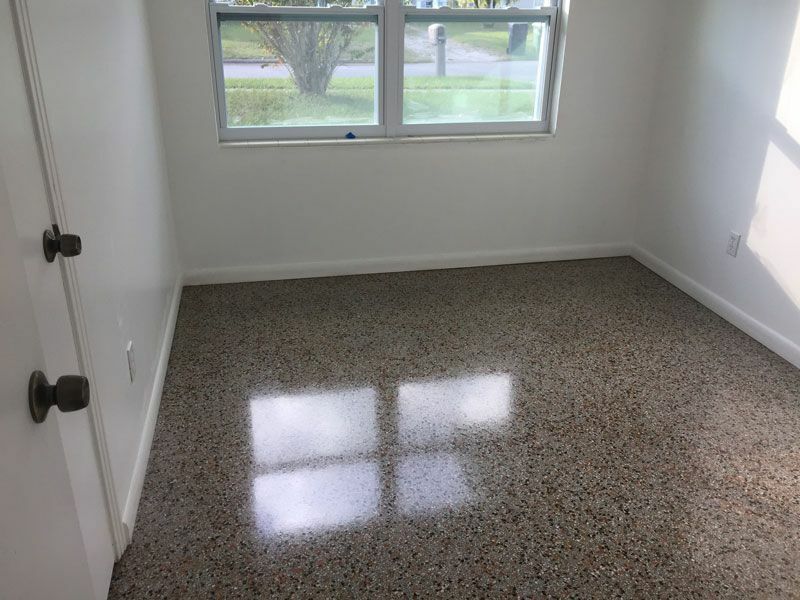 A number of homes built in Florida from the 1950’s through the 1960’s used terrazzo as their flooring choice. 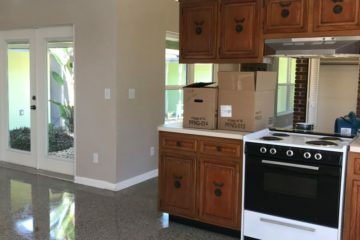 Terrazzo floors are made of marble chips of various sizes set in cement that is usually an off white color or a shade of taupe. 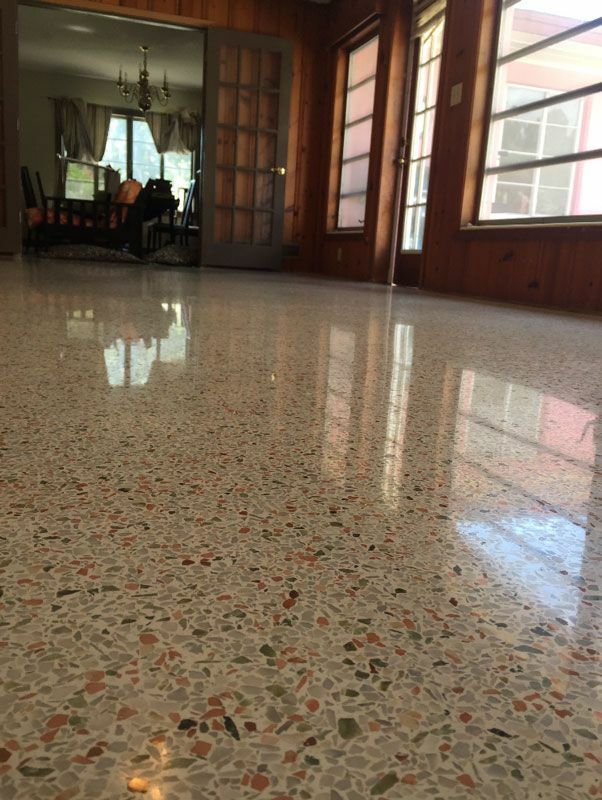 Terrazzo is a very durable and easy to maintain flooring surface that will last forever. 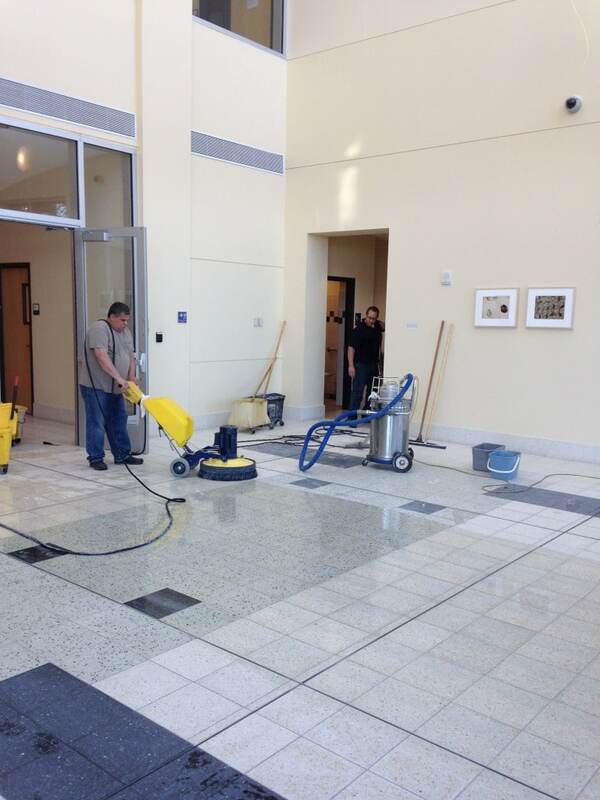 AFC offers three options to clean and polish terrazzo flooring. This allows us to find the best fit for your needs and budget. 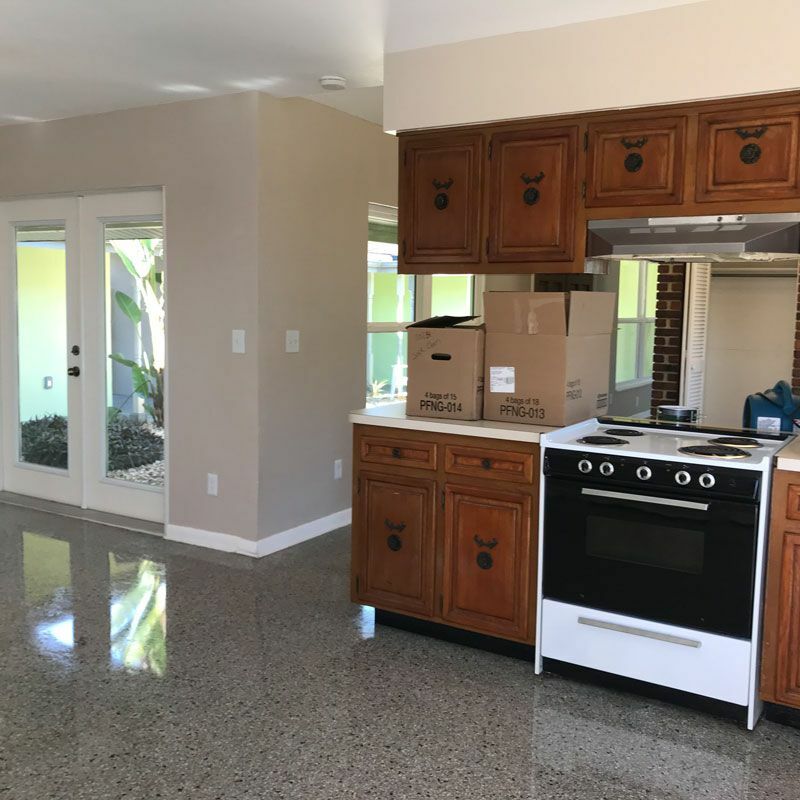 A complete restoration of terrazzo floors involves taping all of the walls, cabinets and appliances with plastic to insure that we will leave your rooms as clean as we found them. Next we grind the terrazzo floors to remove a layer of old dirt and surface staining using a series of diamond metal pads and a weighted floor machine. Third step is honing or wet sanding using a series of diamond resin pads and weighted floor machine to smooth the surface. 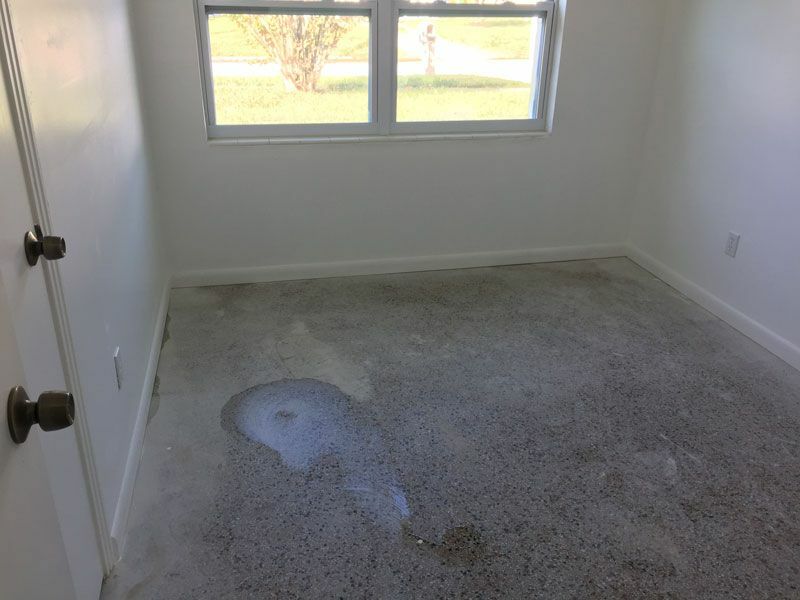 Wet sanding the terrazzo eliminates dust particles from forming. Final step is polishing the floors to a high gloss long lasting shine. AFC has a process used by contractors and investors that are preparing a home for resale or for rental purposes as well as home owners that are not prepared to invest in a full restoration. First step involves a deep cleaning process to remove surface dirt. Corners and edges are detailed cleaned using hand held razor blade tools. The terrazzo in now prepared for a neutral rinse. Final step is applying 25% solid commercial wax. 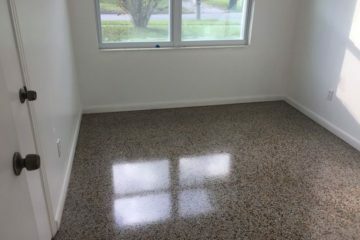 Terrazzo floors are stripped using a stripping agent and a weighted floor machine with a Nylo Grit brush to remove topical dirt. Corners and edges are detailed cleaned using hand held razor blade tools. Floors are now ready for a neutral rinse. When the floors are completely dry we apply a 25% solid commercial wax. 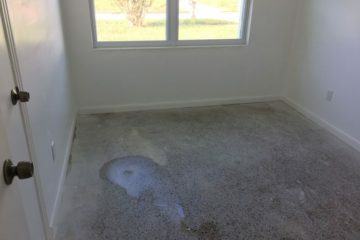 AFC can do it all from removing and replacing furniture, removing old carpet and tack strips as well as cutting the nails. It is always best to let a professional remove the tack strips and cut the nails. This will prevent damage and saves money from having to fill holes. 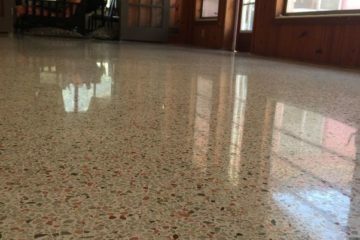 Call us to arrange for a free test spot which will allow you to see just how beautiful your terrazzo floors can be. Whatever your needs may be please call us at 813-933-6049 for a free consultation so that we can help to keep your floors clean and shiny for years to come.